Credit: Image courtesy of SolarCity. Updated: SolarCity will install solar panels combined with batteries for energy storage at Walmart stores, according to SolarCity Chairman and Tesla CEO Elon Musk at the National Clean Energy Summit in Vegas on Tuesday. SolarCity and Walmart already had a substantial partnership, including solar panels installed at a newly announced 60 stores in California, but this is the first time I’ve heard that batteries will be involved for some of the installations. I’ve reached out to SolarCity for more details on the deal and will update this if I hear back. In Musk’s 15-minute talk at Harry Reid’s annual clean energy conference, he said that energy storage, and low cost batteries, will be an important piece of solving the energy problem. (I think Musk said that the battery, solar panel deal would be for 90 Walmarts, but with his accent, maybe that was 19. SolarCity so far isn’t responding.) Update: SolarCity says the work with Walmart is “a pilot storage project” and the company expects to install storage at up to 10 sites by early 2013. The battery, solar panel combo, is an interesting product and one I’ve been following closely. Back in April I reported how Tesla (s TSLA) and SolarCity have been quietly building an energy storage businesses together, selling Tesla batteries paired with SolarCity’s solar rooftops installations. I’m not sure if the Walmart installations will use batteries from Tesla. Tesla sources small format (laptop-sized) batteries from Asian battery giants like Panasonic and bundles them together into a pack. The batteries connected to a solar rooftop would be able to store the solar energy for use when, say, a cloudy day reduces the power production of the solar panels. If the two companies can make the economics work for the grid storage lithium ion batteries, this could be a breakthrough for energy storage and clean power. SolarCity has submitted at least 70 applications for energy storage projects to attempt to receive rebates from the California Public Utility Commission’s Self-Generation Incentive Program (SGIP), which provides incentives for distributed energy generation. Are these 70 applications for the Walmart stores? I’m not sure, but I’ll update this when I know more. 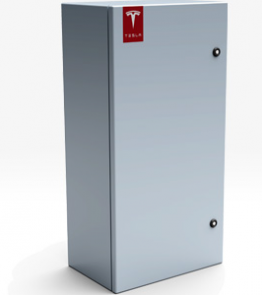 Can I run my whole house from stored energy in a battery-bank connected to an electric generator powered by natural gas obtained from a natural gas well in my backyard? Where will the fist store be ? Solar Energy is becoming more and more popular now-a-days. With rising pollution and need for power, Solar power plants seems to be a great option. Never ending source of energy.